Thanks to the Mayo Clinic for access to this article! Most supermarkets carry organic foods, including organic fruits, vegetables, meat and dairy products. There are several differences between organic and nonorganic foods and many factors that might influence your decision to buy — or not buy — these products. You're in a bit of a dilemma standing in the produce section of your local supermarket. In one hand, you're holding a conventionally grown Granny Smith apple. In your other hand, you have one that's been organically grown. Both apples are firm, shiny and green. Both provide vitamins and fiber, and both are free of fat, sodium and cholesterol. The conventionally grown apple costs less and is a proven family favorite. But the organic apple has a label that says "USDA Organic" or "certified organic." Does that mean it's better? Safer? More nutritious? Several differences between organic and nonorganic foods exist. Become a better informed consumer for your next trip to the supermarket. The word organic refers to the way farmers grow, handle and process the foods we eat. Farmers who grow organic produce and meat don't use conventional methods to fertilize, control weeds or prevent livestock disease. For example, rather than using chemical weedkillers, organic farmers conduct sophisticated crop rotations and spread mulch or manure to keep weeds at bay. Promote plant growth by applying fertilizers made of substances formulated or manufactured through a chemical process (synthetic substances). Apply natural fertilizers, such as manure or compost, to feed soil and plants. Can use synthetic insecticides to reduce pests and disease. Prefer using beneficial insects and birds, mating disruption or traps to reduce pests and disease. However, if a pest problem gets out of control, may use a pesticide derived from natural sources or another substance from a government-approved list, such as boric acid or insecticidal soap. Can use chemical herbicides to manage weeds, in addition to crop rotation, tilling, mulching and weeding. Rotate crops, till, hand weed or mulch to manage weeds. May give animals antibiotics, growth hormones and medications to prevent disease and spur growth. Like organic farmers, may also use preventive measures — such as rotational grazing, a balanced diet and clean housing — to help minimize disease. Give animals organically grown feed and certain vitamin and mineral supplements. Allow access to the outdoors. Use preventive measures — such as rotational grazing, a balanced diet and clean housing — to help minimize disease. Organically raised livestock and poultry may be vaccinated against disease. The U.S. Department of Agriculture (USDA) has established an organic certification program that requires all foods labeled as organic to meet strict government standards. These standards regulate how such foods are grown, handled and processed. Any farmer or food manufacturer who labels and sells a product as organic must be USDA certified as adhering to these standards. Only producers who sell less than $5,000 a year in organic foods are exempt from this certification. Substances. Land used for organic farming can't have any prohibited substances applied to it for at least three years before the harvest of an organic crop. Substances prohibited in organic farming include sewage sludge, lead salts and potassium chloride, among many others. Commingling. Handlers, food processors and food manufacturers must separate organic products from non-organic products and take steps to ensure that organic foods don't come into contact with prohibited chemicals or substances. Feed. Organic livestock must eat feed products that are 100 percent organically grown. Prohibited substances. Organically raised animals can't receive hormones to promote growth or antibiotics to treat infection. If an animal is sick, the farmer must treat it. But if it's been treated with a prohibited medication, it can't be labeled and sold as organic. Outdoor access. Organically raised animals must have access to the outdoors, including access to pasture land for animals that graze. Each animal must have shade, shelter, fresh air, direct sunlight and room to exercise that's appropriate for its species. Animals can be temporarily confined only for reasons of health, safety, the animal's stage of production or to protect soil or water quality. Prohibited commingling. Organic animal products must be separated from non-organic products. Organic animal products also shouldn't come into contact with prohibited chemicals or substances. If a food bears a "USDA Organic" label, it means it's produced and processed according to the USDA standards and that at least 95 percent of the food's ingredients are organically produced. The seal is voluntary, but many organic producers use it. You may see some foods labeled as "100 percent organic." These foods are completely organic or made completely of organic ingredients. Organically produced fruits, vegetables, eggs and other single-ingredient foods are often labeled this way. These foods can also use the "USDA Organic" seal. Some foods contain organically produced ingredients, but not at a high enough percentage to qualify for the "USDA Organic" seal. If a food contains at least 70 percent organic ingredients, the words made with organic ingredients can appear on the label, along with a list of up to three organic ingredients. Foods containing less than 70 percent organic ingredients can't use the word organic on their product label or the "USDA Organic" seal. They can, however, include the organic items in their ingredient list. You may see other terms on food labels, such as all-natural, free-range or hormone-free. These descriptions may be important to you, but don't confuse them with the term organic. Only those foods that are grown and processed according to USDA organic standards can be labeled "organic." Buy fruits and vegetables in season to ensure the highest quality. Also, try to buy your produce the day it's delivered to market to ensure that you're buying the freshest food possible. Ask your grocer what day new produce arrives. Read food labels carefully. Just because a product says it's organic or contains organic ingredients doesn't necessarily mean it's a healthier alternative. Some organic products may still be high in sugar, salt, fat or calories. Don't confuse natural foods with organic foods. 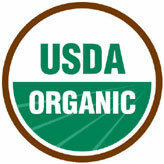 Only those products with the "USDA Organic" label have met USDA standards. Wash all fresh fruits and vegetables thoroughly with running water to reduce the amount of dirt and bacteria. If appropriate, use a small scrub brush — for example, before eating apples, potatoes, cucumbers or other produce in which you eat the outer skin. If you're concerned about pesticides, peel your fruits and vegetables and trim outer leaves of leafy vegetables in addition to washing them thoroughly. Keep in mind that peeling your fruits and vegetables may also reduce the amount of nutrients and fiber. Some pesticide residue also collects in fat, so remove fat from meat and the skin from poultry and fish. Many factors that might influence your decision to buy — or not buy — these products exist. Make your decision by focusing on the factors most important to you.